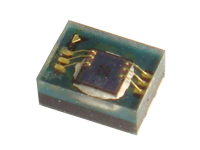 CM32181 is an advanced ambient light sensor with I2C protocol interface and designed by the CMOS process. It is easily operated via a simple I2C command. The active interruption feature within the threshold windows setting offers the benefit of eliminating loading of the controller monitor. 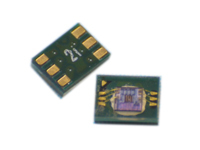 CM32181 incorporates a photodiode, amplifiers and analog circuits into a single chip. The best spectral sensitivity is used to closely capture real human eye responses. CM32181 has excellent temperature compensation. Its robust refresh rate setting does not need an external RC low pass filter. Software shutdown mode is provided which reduces power consumption to be less than 0.5μA. 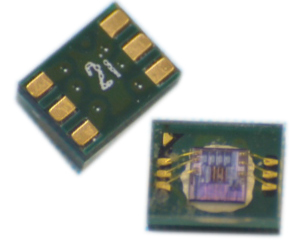 CM32181's operating voltage ranges from 2.5V to 3.6V and consumes only 1uA. The maximum detective light strength is over 167K Lux. * Support various Low power modes. Programmable interrupt function with upper and lower thresholds. Adjustable persistence to prevent false triggers. Copyright c 2008-2014 Capella Microsystems Inc. All rights reserved.